Does metal make you depressed? 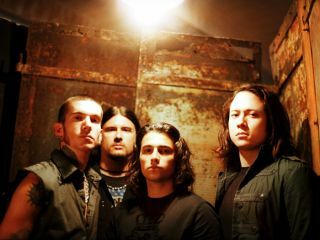 Could listening to Trivium bring you down? A study has found that teenagers who listen to metal music may be more prone to depression, suicide, delinquency and drug abuse. The research was carried out in Australia and published in the journal Australasian Psychiatry. It involved year ten students at a school. Other conclusions were that pop music fans are more likely to struggle with their sexuality, and that those who attend 'dance parties' are, perhaps unsurprisingly, more inclined to take drugs. Like metal fans, trance, techno and goth lovers are also seen as potential self-harmers and suicide victims, while teenagers who like French rap are more likely to be involved in theft, violence and drug use. On the whole, though, hip-hop fans are well-behaved. Speaking to the Sydney Morning Herald, Dr Felicity Baker, the study's author, said: "There is no evidence to suggest that the type of music you listen to will cause you to commit suicide, but those who are vulnerable and at risk of committing suicide may be listening to certain types of music".